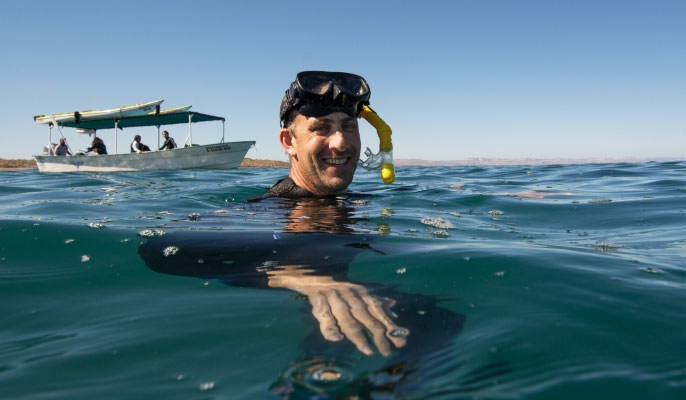 A 2016 recipient of the prestigious Peter Benchley Ocean Award, Dr. Christopher Costello is a professor of Environmental and Resource Economics at the Bren School of Environmental Science & Management, UC Santa Barbara. His work focuses on natural resource management, and in particular, the issues surrounding resources that cannot be claimed by an individual or state entity, such as fisheries on the high seas. The work of Costello and his colleagues opened the first serious dialogue in the scientific and management community into the effects of closing the high seas to fishing. Costello is a co-founder of the Sustainable Fisheries Group that combines economics and marine science to implement effective strategies for restoring the world’s depleted fisheries. He has worked with the World Bank and others to promote “50 in 10,” a bold initiative to restore half of the world’s commercial fisheries to ecologically sustainable levels over the next decade. How does looking at fisheries management through the lens of an economist differ from taking a purely ecological approach? Economics is really the study of how people behave and how to create incentives to change their behavior. At least environmental economics focuses on that. It’s tempting to think that to manage a fishery all we need to do is have the fishery open for just a month or three months a year, or to tell people that as soon as a certain number of fish are caught, we’re going to close the fishery down. And in fact, that’s how most fisheries in the world are managed. But that is an extremely ineffective way to manage a fishery from an economic point of view. It creates a race to fish. If I know that I’m out there fishing alongside 500 other people, and as soon as we hit an aggregate total catch, they’re going to shut the fishery down, my incentive is to fish as hard and as quickly as I possibly can. I’m going to be catching all kinds of bycatch, and it’s going to be dangerous, and the quality of fish is going to be low. We’ve seen that actually play out. Thinking through the institutional design, both from the ecological and the economic point of view will give vastly better outcomes. Economics and ecology often cross paths in environmental management. Why did you choose to apply economics to fisheries and ocean sciences as opposed to some other field? I think fish have a very compelling characteristic that most other environmental problems do not have. And that is, the best way to make money fishing is by recovering fish stocks. You can get benefits for people through increased fisheries profit and more food, but you can also get a conservation benefit at the same time. And if you think about a lot of other environmental problems, of our day, pollution or climate change. The reason we have trouble solving those problems is that there is always a conflict. Somebody who says “I don’t want my industry to be regulated for pollution because I make more money by polluting more.” In fisheries, that’s not the case. Because even fishermen make more money by having more fish in the sea. I find that compelling. What we need to do is get over the policy or management or institutional barriers that will unleash this dual benefit to the economy and the environment. Well, I think that’s a really important segue into the Global Fishing Watch work. While there are bad actors, there are also actors that are just playing to the incentives that have been given to them. For example, if you have complete open access with no rules, and anybody can go in and fish like we do on much of the high seas, then it’s not that people are bad, it’s that there are no rules, so why not go and exploit as far as you can? In both of those cases, one of the biggest bottlenecks, at least as our team sees it, is with data. From our point of view, that makes a perfect collaboration with our team and Global Fishing Watch. How do you see Global Fishing Watch contributing to your work? I don’t see Global Fishing Watch as just a solution to one very focused specific need. I think Global Fishing Watch is poised to completely revolutionize the way fisheries are managed, the way they are assessed, and monitored and evaluated. 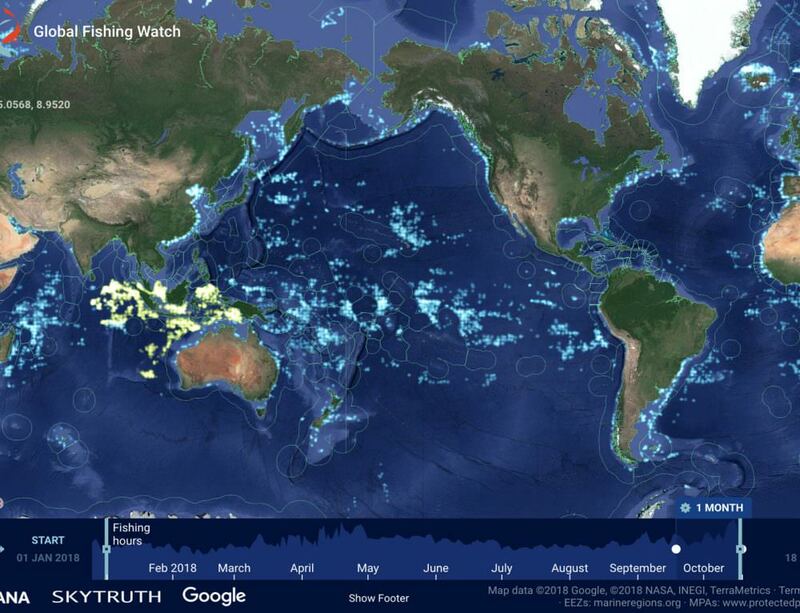 I think pretty much everything we do in fisheries could be revolutionized by Global Fishing Watch. Poor management is a big concern both within EEZs in places with weak governance and on the high seas; institutional design in places that have good rule of law but just haven’t reformed their fisheries yet; monitoring and enforcement is a huge problem; stock assessment. For 95 percent of fish stocks in the world, we have no clue how many fish there are and how they’re changing over time, or how they’re responding to different management interventions. We have some really interesting new ideas for using Global Fishing Watch data to, for example, have real time stock assessment. You know every time a boat goes out and fishes, he’s giving us information about where fish live and how abundant they are compared to some other location. Can we use that to back out an estimate of the size of the fish stock in that location? That’s a crazy idea, but suppose you could open up an app that gave you an estimate of the fish stock in a specific location. That’s never been done because we’ve never had the data. Climate change is an issue that people are worried about, and one of the things we’re finding is that, on average, climate change might not be terrible for fisheries. It will be horrible in some places, and it will actually be beneficial in other places. 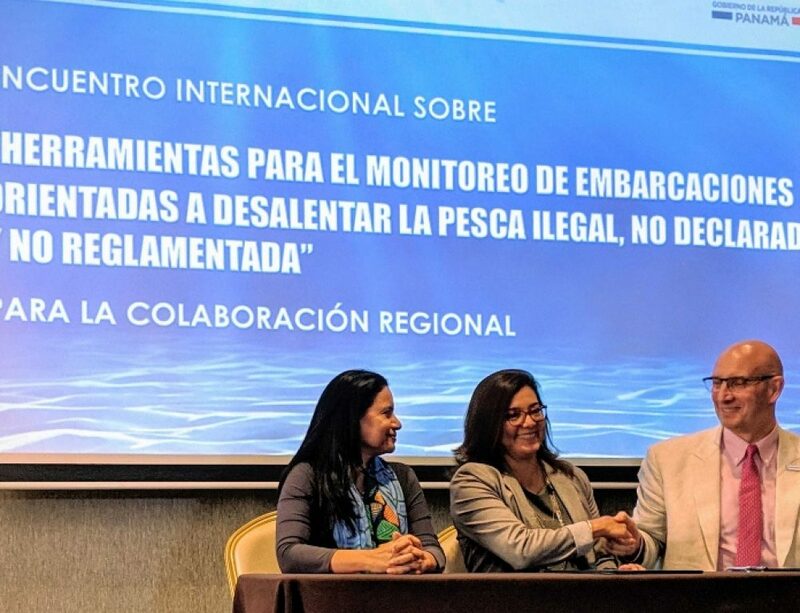 Monitoring those changes and being able to match to them to fisheries management is going to be critical not only for capitalizing on the benefits of climate change, but also to minimizing the losses associated with climate change. Again, there’s a huge role for Global Fishing Watch. You’ve just listed a lot of big ideas. What’s the first thing you want to do with this GFW data? We’ve got two big efforts underway right now. The first has to do with matching the [fishing] effort data from the high seas with fishing cost data and fishing revenue data. And that’s going to allow us to estimate fishing profits everywhere on the high seas. So we anticipate being able to produce a global map of fishing costs and a global map of fishing revenues or profits. Why this could be useful is that as different groups—the UN or other groups—think about different kinds of policy on the high seas, we get a sense of who the players are that will be effected and the magnitude of the costs imposed on them by a policy change. So for example, one could imagine a situation where there’s going to be a closure that effects, say 3 high seas fishing fleets from 3 countries and 20 boats that fish there frequently. We will have a mechanism now to estimate what they would lose from being displaced and having to go fish elsewhere. Previously no one had any clue because those were all private data that only the companies would have. So it gives us a way to start thinking about compensation and other approaches to getting buy in from countries. Yes, the other big one we’re working on is looking at the historical data and how fishermen respond in anticipation of large marine reserves going in. So if you look at a period of say five years before the reserve goes in and then follow what happens. We want to know how fishermen’s behavior changes before, during and after implementation. Do you expect fishermen to grab all they can in anticipation of a closure, or do you think if they’re given enough time they may begin to find other fishing grounds on their own? That’s the sort of thing we’re trying to test. There are various hypotheses that have been put out about that kind of thing, but like I said, this could never have been done before because no one had the data on fishing activity.